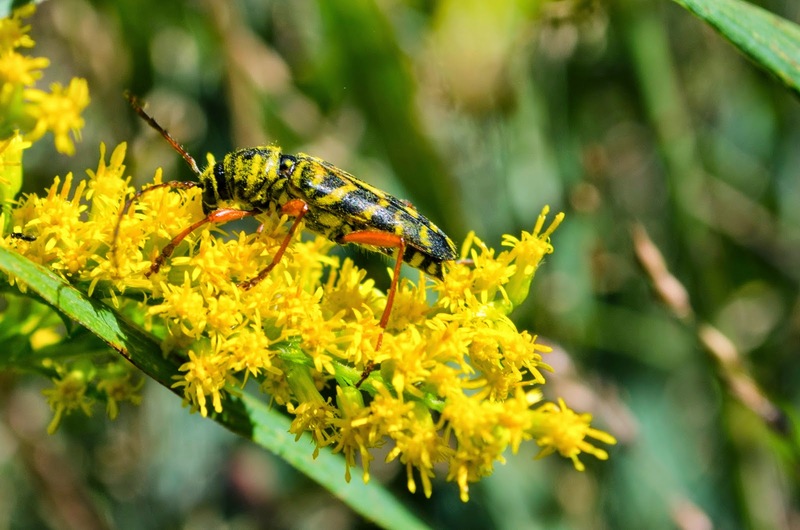 Urban Wildlife Guide: It's Locust Borer Beetle Time! It's Locust Borer Beetle Time! The locust borer beetle, Megacyllene robiniae. Click to enlarge. Goldenrod is one of my favorite things about autumn. I can spend hours inspecting the bright yellow flowers, finding and photographing the insects it attracts -- like this locust borer beetle. It is a "long-horned" beetle in the family cerambycidae. Check out its long antennae. 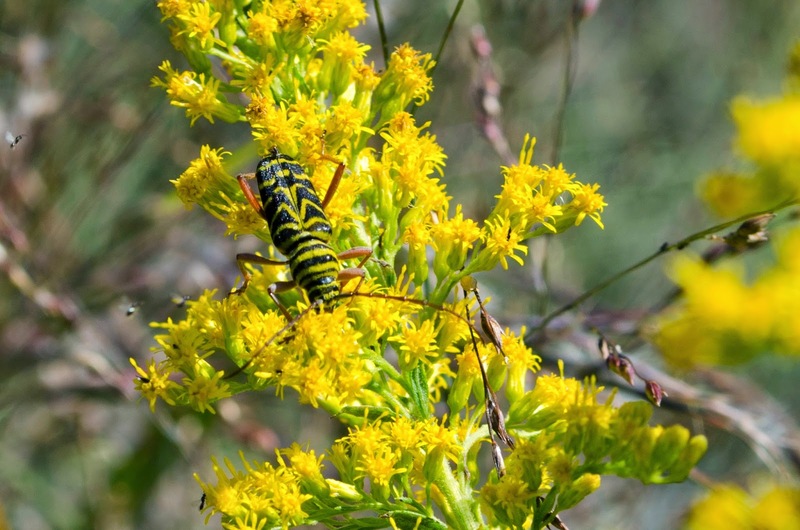 Although we usually notice them on goldenrod in autumn, they spend most of their life cycle on locust trees. Adults lay eggs on locusts. The eggs hatch into larvae that spend winter under the tree's bark. When the weather warms, the larvae burrow deeper into the tree and pupate there. They emerge as adults in late summer and early autumn. Egg, larva, and pupa live on locusts; adults are found eating goldenrod pollen, but they hang out on locust trees, too, and eventually lay their eggs there. Calling them locusts borers makes sense after all.